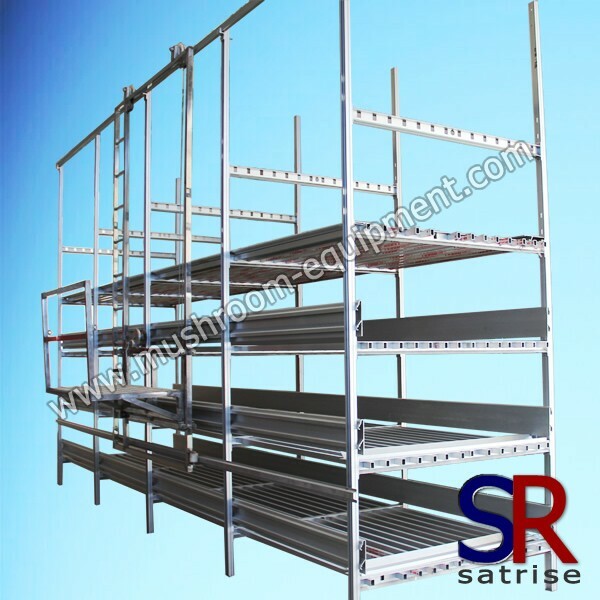 mushroom shelf,mushroom rack,mushoom picking lorry manufacturers,mushroom shelf,mushroom rack,mushoom picking lorry exporters,mushroom shelf,mushroom rack,mushoom picking lorry suppliers,mushroom shelf,mushroom rack,mushoom picking lorry OEM service. The mushroom shelf is use for mushroom growing, such as oyster mushroom, shiitake mushroom,eryngii mushroom, agaricus bisporus,etc. It has three types according to different material:Galvanized Type, Aluminium Type, Galvanized & Aluminium Type,etc,thegalvanized type is very popular in China. It can match with 3 types Picking Lorry, move with hand, with handle, fully automatic type, you can choose according to your own needs.